I’m sure you’ve heard of Jiu Jitsu – the art of self defense that’s gained a lot of popularity today in the sport of mixed martial arts. It utilizes sophisticated principals of psysiology (far beyond simply punching or kicking someones face:) that can allow a smaller, weaker person to defeat someone much larger. Well, lets keep that word larger in mind, because I would like to show you how this ancient combat art might be used to make your waistline do a dissappearing act. Jiu Jitsu is thought of as a technique that uses an opponents strength against him, combining surprise and leverage with surgically precise force. He attacks you with all his might in a very predictable manner and you give unexpectedly, sending him crashing headlong into the floor or a wall. Well this may have been the preferred tactic of the ancient practitioners, but after years of studying it – both in the dojo and on the tube, I can tell you that in the modern version the strategy has become more one of seeking out an opponents weakest point and instantly exploiting it, focusing your attack where he is most vulnerable. Here your irresistable force meets a very movable object. In the daily world this is often referred to as getting the most bang for your buck. I have here a couple ideas for applying some mental jiu jitsu in your own little cage battle with the bulges. They might help because the real stage for your fight is not so much the dinner table or the restaurant, it is in your mind, and you should try to find some psychological combat tactics to overcome this intimidating opponent. Lets put some labels on the enemy. Is it procrastination? You might be subconsciously blowing your task way out of proportion. Here is a possible solution. Or you might be stuck on the old “instant gratification” unconscious mind set. It is difficult to institute a program of any duration without frequent predictable reward and enjoyment. Working out or dieting will not provide results overnight – despite what tv advertisements frequently claim. So you have to commit to a certain time frame. Now it’s been well established in studies that it takes roughly 3 weeks to fully ingrain a new habit into your daily routine. I suppose the repetition over that period forces some kind of mental alignment; whatever the mechanics – it is useful to know. 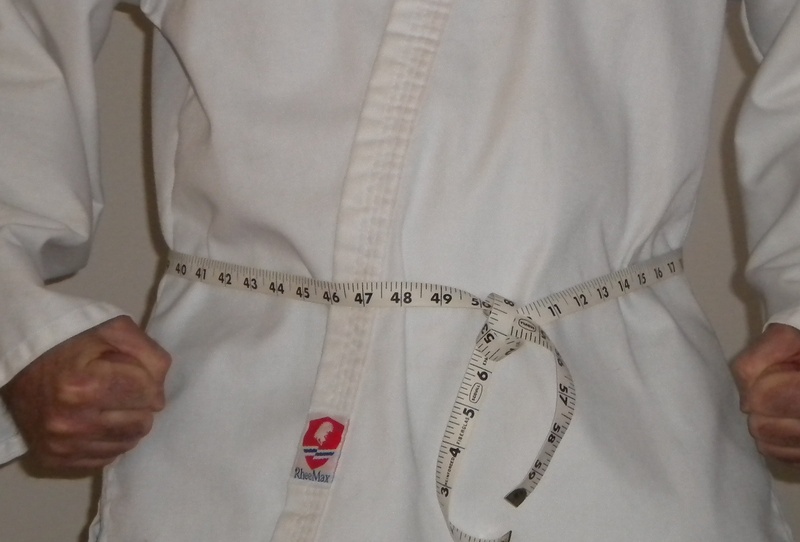 We can apply some mental jiu jitsu by telling ourselves that we are not going to start a year long diet, or anything that protracted and dragged out. We are only going to try program x for 21 days. So we take the pressure off even if there are no outrageous expectations. Remember that it is the long term proposition that usually deters us. I remember when I tried quitting smoking 26 years ago. The hardest part was the fear that I’d never be able to smoke them again – ever! Emotionally we don’t understand that after a certain time we won’t miss em anyway. So I broke it up into digestable bites. This is part of the psychological jiu jitsu you should play. So resolve to begin your new program on a specified date with an easy, nonintimidating conclusion. If you have to tell yourself you can eat whatever your heart desires after that day go right ahead. Take the pressure off. Of course, after those three weeks you just might have developed the habit of working out or eating correctly; it will certainly be easier to continue beyond the three weeks if you choose at that point. It’s all a mind game folks, the only way for these tricks to work is if you don’t fight them, you have to get yourself on your own side. After all, who’s going to lose if you don’t make them work for you? Try to devise your own mental jiu jitsu tactics. You just might be able to get that opponent to tap out so you can claim your prize! This entry was posted in Diet, Exercise, motivation and tagged diet, exercise, motivation, procrastination, psychology, weight loss. Bookmark the permalink.